Get ready comrades for the return of the Soviet Union as Irony Curtain: From Matryoshka With Love is coming to the Nintendo Switch. The satirical Spy adventure game has players put in the shoes of a bumbling journalist turned spy as he tries to discover what is behind the Irony Curtain. We have a trailer for the game below as well as the official press release. OFFICIAL BROADCAST FROM THE GREAT LEADER ALL CITIZEN’S ATTENTION IS MANDATORY! 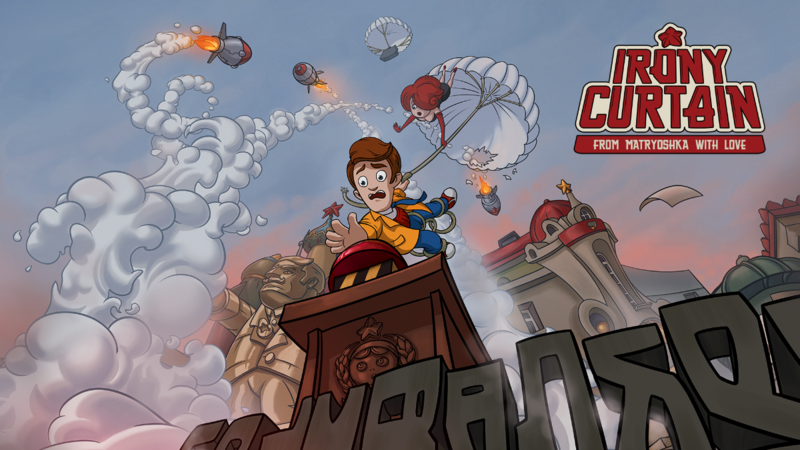 Set in a bizarre Eastern European country ruled by tyrannical BELOVED leader, the game will take players through an exciting and often exaggerated spy story of epic communist vs capitalist caricatures. Take on the role of Evan, a bumbling journalist and unbeknown spy as he solves puzzles, meets eccentric people of this great nation and reveals what’s actually behind the Irony Curtain.